* Note: you must be on version 5.50 of Apto or higher. 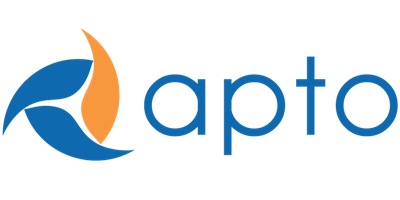 When a broker leaves your firm, you will deactivate that user in Apto. After deactivating them, you can still convert and advance deals in the pipeline to Closed with the inactive user as far as commissions, booking deals, and processing payments. The Admin should transfer the records owned by the agent. The Admin (or Accounting) should confirm the user's current Commission Plan or re-assign the user to an exit Commission Plan. The Admin should deactivate the user. The Admin may choose to freeze the user's account if you do not want them to be able to log in. Accounting should run a report of the Agent’s Commissions. We will use this to examine future commission expectations for currently outstanding commissions. The Admin should transfer any or all records owned by this user. The best practice is that the records get transferred to someone in the same office or market, their supervisor, or the Admin account. This is done via Setup > Mass Transfer Records. The Admin or Accounting should validate that the user is still on the right Commission Plan(s). Some companies pay out former brokers at a set split (e.g. 50%). If so, remove the agent from their current plan and re-assign them to the desired Commission Plan. The Admin should deactivate the agent’s user record. When booking or paying the user's record, ownership will be assigned to the user booking the deal, or booking the payment. Use same commission reports to examine and track commission and payments.